Education and fun in one! 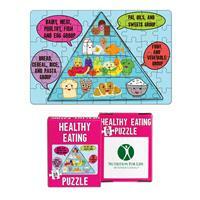 This 54 piece mini puzzle is a creative way to help educate both adults and kids about healthy eating. A perfect item for nutritionists, doctors, and schools! Imprint is only on the box and is one location imprint only. 54 pieces of fun! 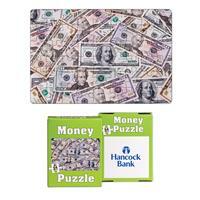 This mini money puzzle is a good way to spread your brand's name and have a little fun. Perfect for banks, finanical advisors, or even echools. Imprint is on the box, and is one location only. Put the pieces together of your next marketing campaign with these kid-friendly promotional products. 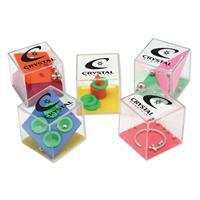 Our 1 1/2" cube puzzles make for a fun, enjoyable giveaway at tradeshows or fundraising events. Great for any type of business, project or event. 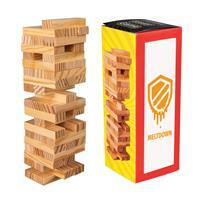 The assortment is made up of 24 different types of games that will keep kids occupied! 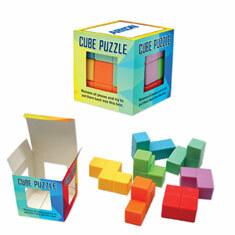 Remove the puzzle pieces from the box and try to fit the puzzle pieces back in, constructing the cube! Add your logo to the box and hand out at your next event! Piece together your next promotion with our jigsaw puzzles! Ideal for teachers and students. Great for tradeshows & events. 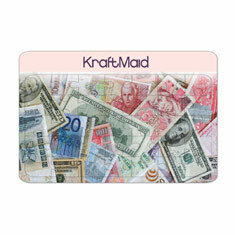 Currency stock design. 35 piece puzzle is printed on 1/8" thick cardboard. 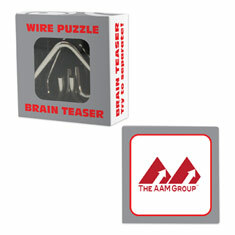 Keep your brand name on their mind with this brain teasing puzzle. Remove the pieces and see how fast you can fit them back in the tray. It's not as easy as you think! Measuring 3 1/2" x 3 1/2", this promotional product would fit nicely in any doctor's office or hospital waiting room. Ideal for teachers and students. Would be a nice challenge for any banker or accountant. Put the pieces together of your marketing campaign with these kid-friendly promotional products. 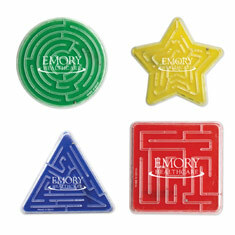 Our 3 1/2" sliding puzzles make for a fun, enjoyable giveaway at tradeshows or fundraising events. These puzzles would work nicely in any doctor's office or hospital waiting room. Great for any type of business or event. Ideal for teachers, students and caregivers. 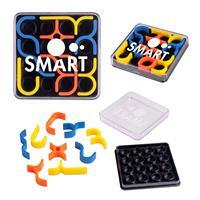 Piece together your next promotion with our jigsaw puzzles! Ideal for teachers and students. Great for tradeshows & events. Fire department stock design. 35 piece puzzle is printed on 1/8" thick cardboard. 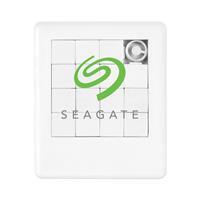 Piece together your next promotion with our jigsaw puzzles! Ideal for teachers and students. Great for tradeshows & events. Police department stock design. 35 piece puzzle is printed on 1/8" thick cardboard.